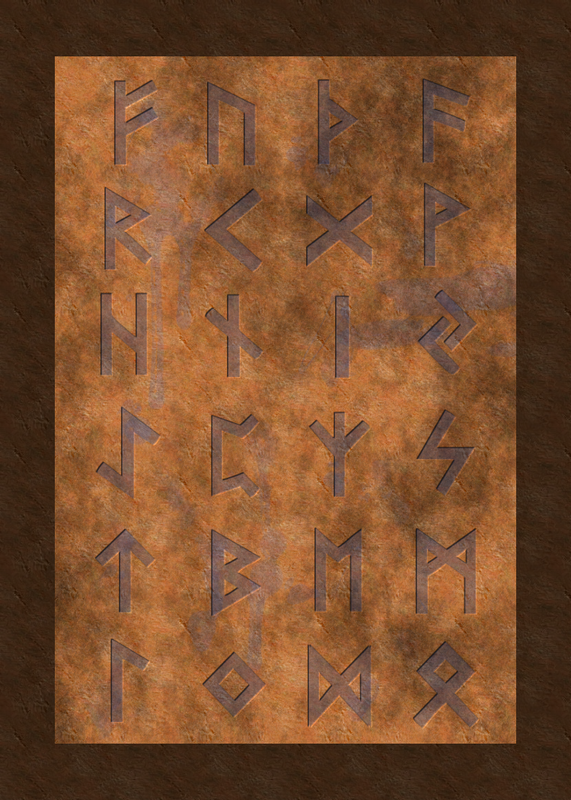 Learning the runes and want a way to practice? 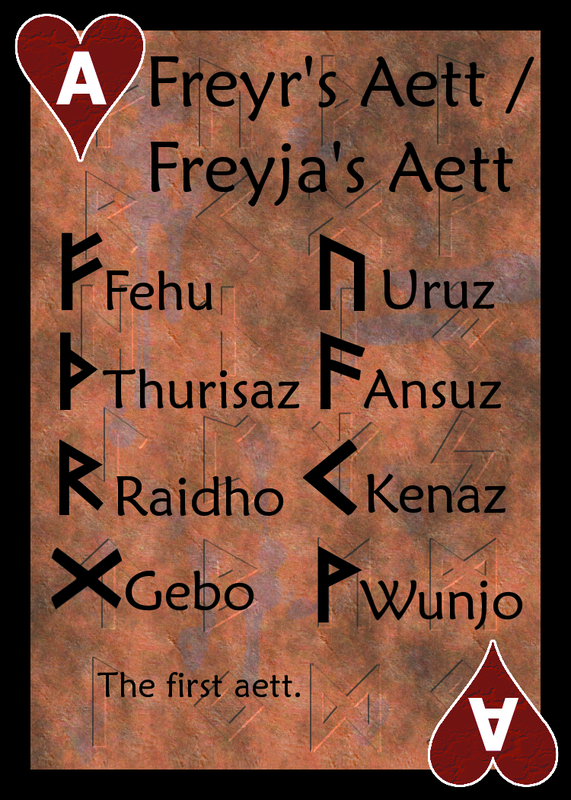 Interested in Norse history and want a cool themed set playing cards? Then the Rune Cards are for you. A full 54 card set of playing cards, with the Elder Futhark runes and their meanings. 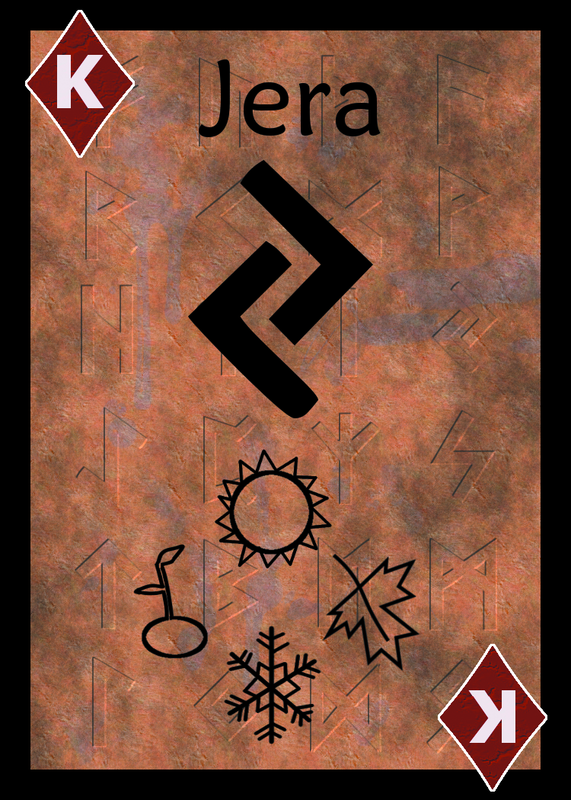 24 cards each have a rune and their meaning, while another 24 cards each have a rune and an image associated with the meaning. Three of the aces have "cheat sheets" for the three Aetts, and the fourth ace has a modern pronunciation guide. The two jokers have some extra rune facts. 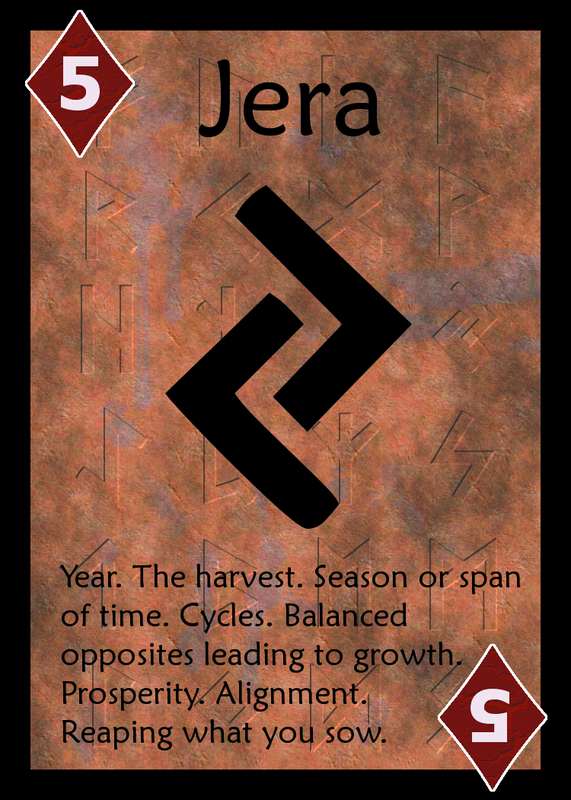 Whether you believe in the runes as a magical tool, a link to your heritage, or just a really cool aesthetic, the Rune Cards are for you. They're both a great study aid and a fully playable poker deck. Keep in mind that each rune has meanings and history that could fill an entire book - if you're using the Rune Cards as your only learning tool, you're missing out. The meaning cards are there to help and remind you, but it's best if you pick up a book dedicated to the runes, such as Diana Paxson's excellent work, Taking Up the Runes.